The popular holiday destination at the east coast of Florida – about 30 kilometers from Miami – is also known as the “Venice of America”. 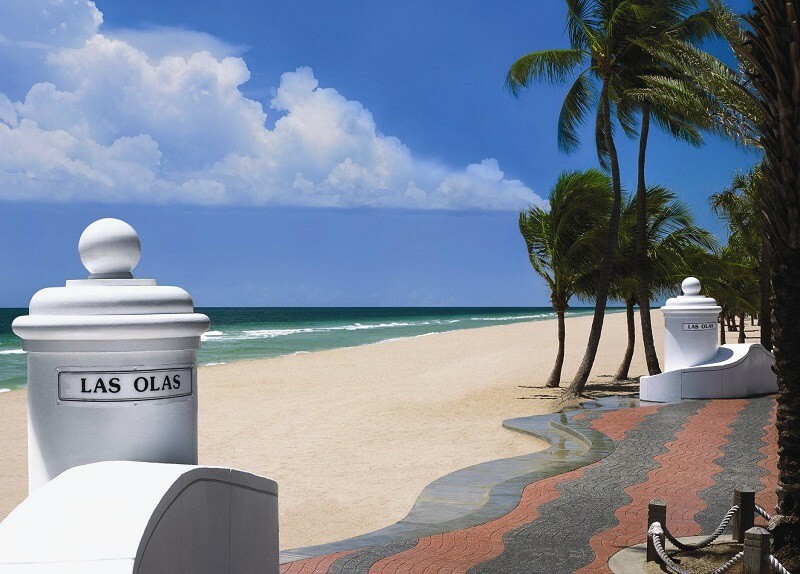 It is thanks to its more than 480 kilometers of inland waterways, which reach from the Intracoastal Waterway with its yachts to the Everglades, that Fort Lauderdale received its nickname. With a mean annual temperature of 25 degrees Celsius, over 3.000 hours of sunshine and a subtropical climate, the southeast of Florida is a true beach paradies. At its coast, one finds over 37 kilometer-long dream beaches, that were assigned the acknowledged “Blue Wave” certificate and not only magically draw sunworshipers but also surfers.